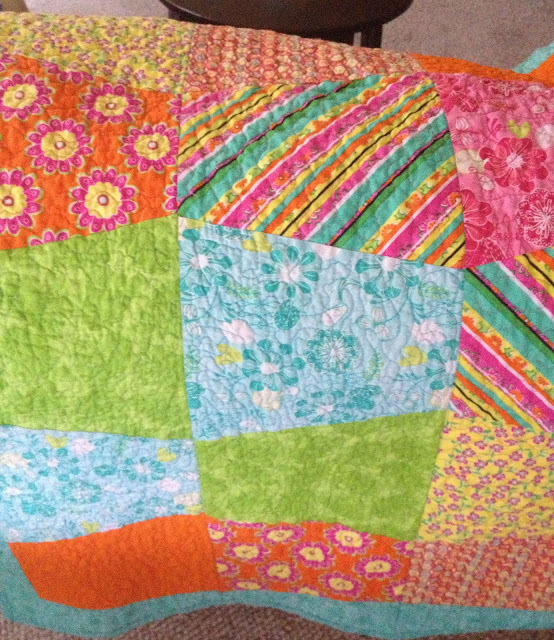 This post isn't about fabric design; it's about another passion of mine: quilting. 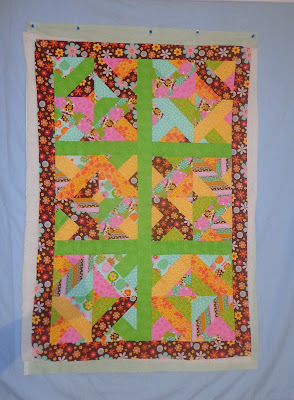 I wanted to learn how to do Free Motion Quilting and began my quest last week. After clearing and cleaning out my sewing studio I was ready to go. 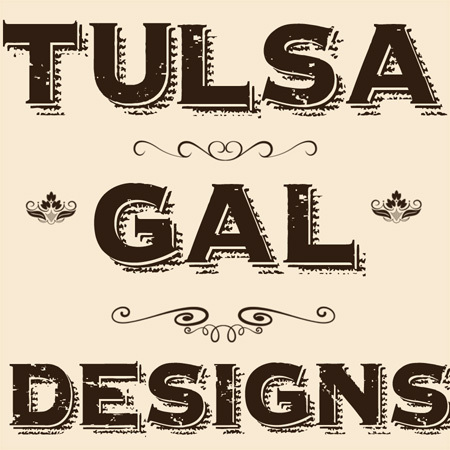 I began watching Patsy Thompson's video tutorials on this subject over on YouTube. 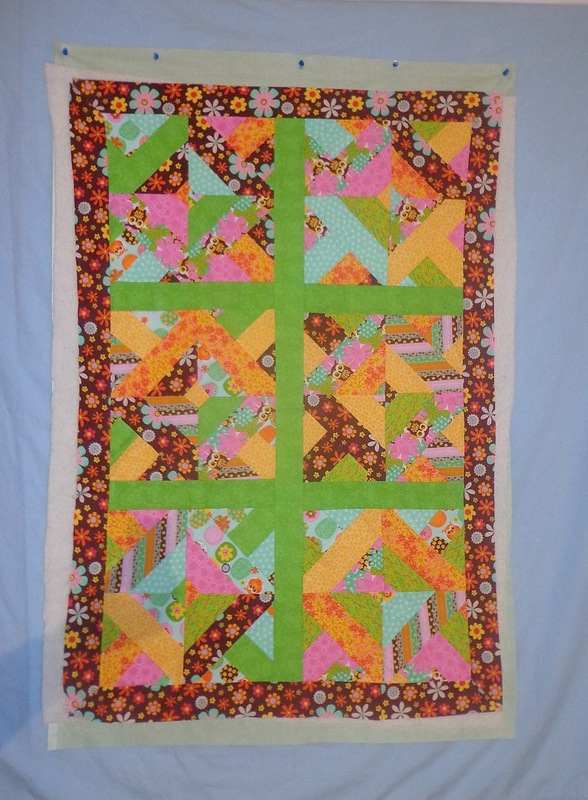 In the first one, she tells about her "basting wall" that she created to baste quilts on. It is ingenious, using gravity and basting spray- no pins! It's pretty simple- attaching ceiling squares (inexpensive, available at Home Depot, Lowe's, etc) to a wall. I think every quilter that sees it wants one, but many- if not most- of us do not have an extra wall to spare. I was bummed about not being able to have one......until I noticed the large 6x6 ft board we have, leaning against the garage wall. *LIGHTBULB* (I do realize that not everyone has one of those hanging around either) I got SO excited about what I was about to make. I bought the tiles and some Gorilla Glue and got busy. This particular glue dries quickly and uses water to help it bond. I cleaned off the board and got a water bottle to wet it as I went, tile by tile. I used various items in the garage to place on each tile and help it set. Took about 45 minutes per tile. I wish I had taken a picture or two of the project. I used it the next day and it works GREAT. My first FMQ was a success from basting to binding. On my next quilt to practice the FMQ technique I did take photos of the basting process. Please remember this is out in my garage and the lighting's not so great. So, here is my basting board, those are the push-pins up in the corner I use to hold the quilt back on. And that's it! The basting spray is great because you can move things around until you get it just right. I toss the sheet into the wash and have a perfectly sandwiched quilt to work with.